Defense Minister Moshe Yaalon will depart for New Delhi in about two weeks to meet with top defense and political officials. For the first time, Israel's top defense official will be traveling to India. Defense Minister Moshe Ya'alon will depart for New Delhi in about two week where he will meet with top defense and political officials. India, with close to a billion people, is currently Israel's biggest defense customer, and Israel's military delegation to India is second only in size to its delegation to America. The two countries also have a Joint Working group on counter-terrorism, with bilateral ties flourishing under India's new Prime Minister Narendra Modi. Modi visited Israel last September, and India has been actively buying Israeli weapons; last year it approved the purchase of 15 Heron drones. The two countries are also involved in joint military projects, with Israel developing the Barak 8 advanced missile in cooperation with India, further pointing to the strong military ties. 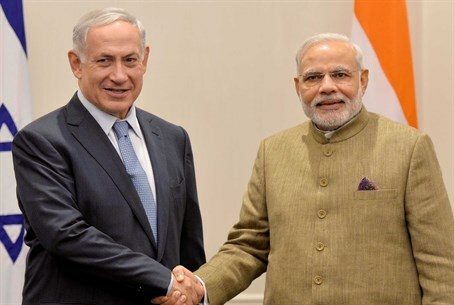 Recent reports said that Israel is looking to sell its Iron Dome anti-missile defense system to India, which is interested in using the system to defend its key assets. Besides defense, India is an important consumer of other Israeli technologies, especially those associated with agriculture. India, for example is one of the biggest foreign customers for Netafim, the Israeli company that innovated drip irrigation technology. Three years ago, then-Defense Minister Ehud Barak sought to visit India, but New Delhi canceled that visit, fearing unrest by Muslims. Although the vast majority of Indians are Hindus, it is also, due to its sheer size, one of the world's most populous Muslim countries.